Well we are still at it around the farm. 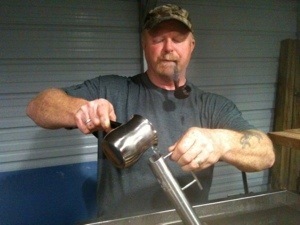 I was in the sugar shack until nearly 1a.m. last night. Last night it got down to freezing so that will be good for the Maple trees. It is snowing here this morning and I’m not sure when it will warm up again to allow the trees to start the sap flowing again. We are going to try to head into town this morning. The county has been working on the 6 mile dirt road that we live on for the last 2 weeks. There has been some soft side areas in places and they are working to reenforce the edges to keep if from moving down the hill. We just finished up bottling our last couple runs of pure Maple Syrup. Email me at hgjobe@gmail.com if you would like me to mail them out to you. The cost is $12.95 per Pint plus mail costs. PayPal works best or Our-WV webpage. Get it while it lasts. Note: We intend to ship on Wednesdays of each week. 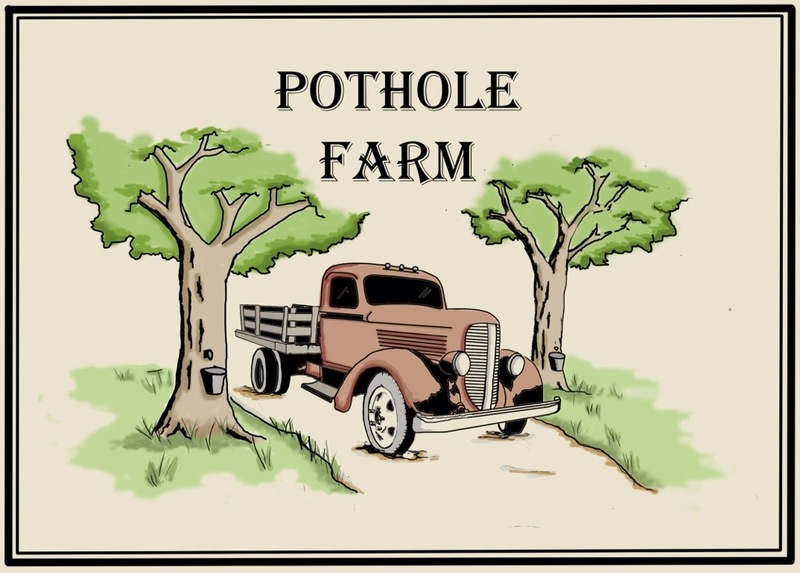 How do you like our new Pot Hole Farm logo. 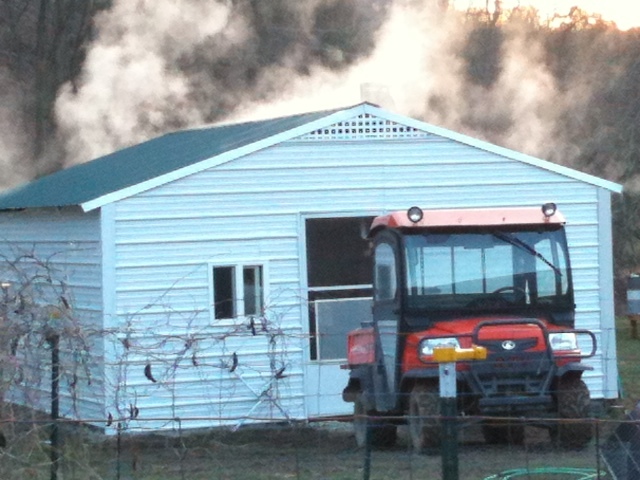 You are currently browsing the Off-Grid in West Virginia blog archives for February, 2013.